For the past few weeks, my friend Melissa and I have been prepping for our first craft show which is this Saturday. Since August, the two of us have been scouring Goodwill, yard sales and Dollar Tree for junk. But not just any junk, junk with potential. And there is a lot of junk out there, I tell you. So after months of painting, sanding, re-purposing, gluing, mod-podgeing, we are ready! cleaning homes (been there done that), babysitting (not always reliable money), working at Panera (too many calories). So that brainstorm session was the birth of our business Two Thrifty Chicks because a) we are thrifty b) there are two of us and c) we are chicks. 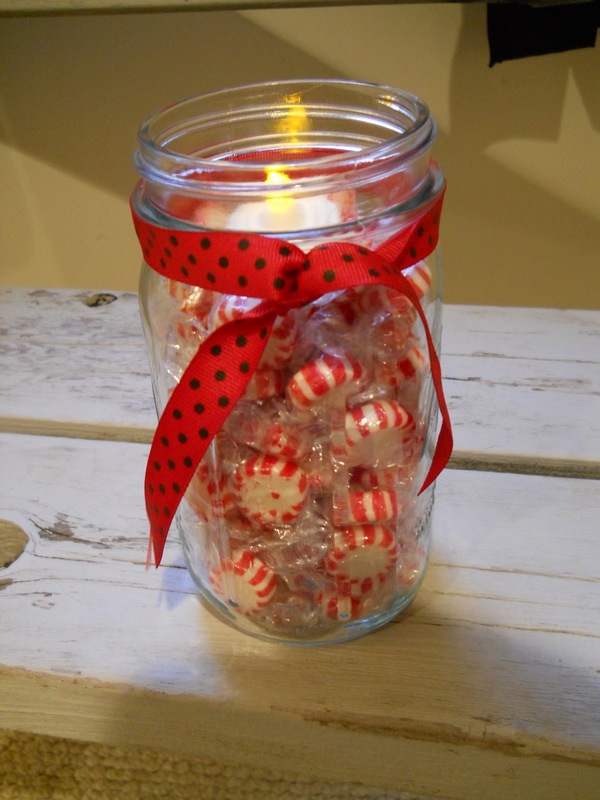 This mason jar candle holder is so cute that if it doesn’t sell Saturday, this will be in my home Sunday. The great thing about this is that you can change it out for any season; I am thinking cinnamon red hots for Valentines or little pastel paper mache Easter eggs for spring. 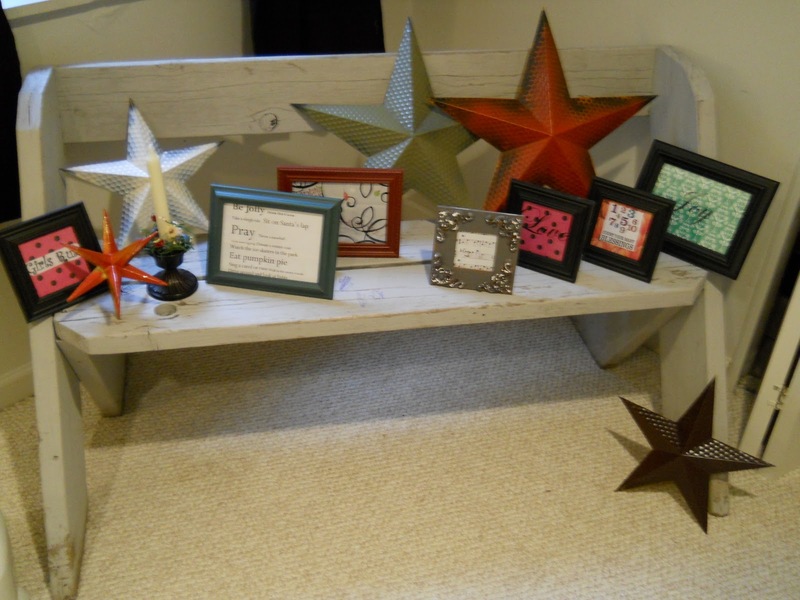 Some of our framed sayings and our beloved stars. Can you believe someone gave these away to Goodwill…and trust me…they were giving them away. I can tell you that our stars cost a lot less than in the gift shops or catalogs. This was one of our last minute additions that I really think will be a hit going forward. 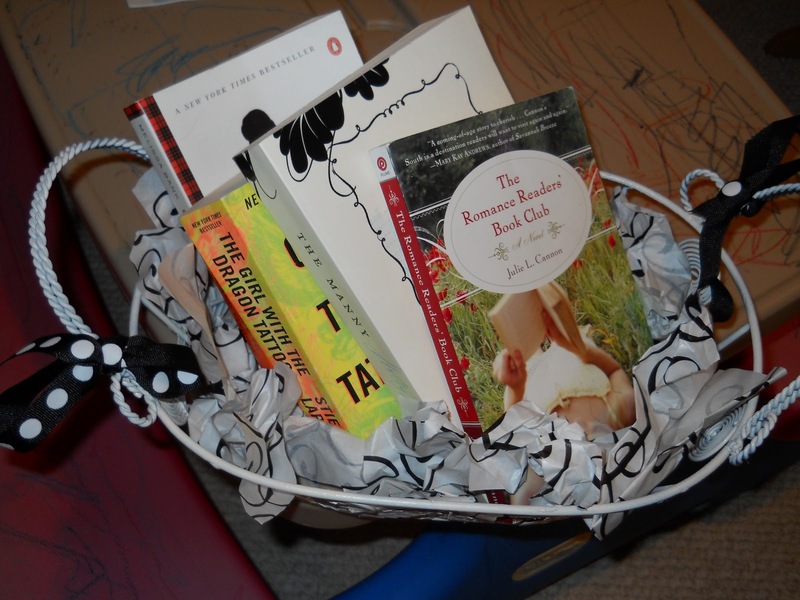 We call it our “basket o’ books”, all used books, in a cute basket. We have two for sale- this one is for women (a great gift for the new mommy in the hospital?) and the other is for tweens (a great babysitter’s gift?). -framed cute sayings for kids rooms, family rooms etc. If you live in the area, we would love to see you come out and support our little business. Plus we are offering candy!!! Bribery at its best. For those who are not sure how to get to the show, email me or send me a message on FaceBook and we will getcha there! Have a great weekend everyone and I will post pictures from the sale here next week.